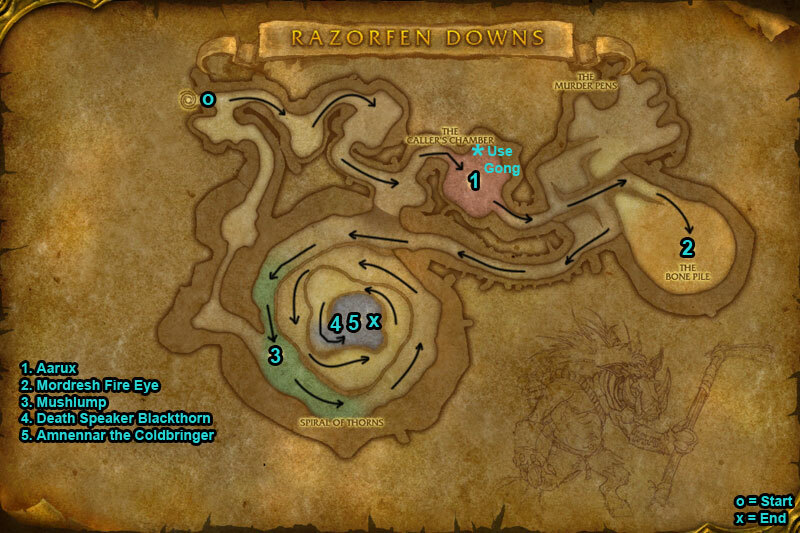 You can find the Razorfen Downs dungeon within Thousand Needles, Kalimdor. On the 1st boss to get the spider to come down use the Gong to the left. /i Get pulled in by Web Strand, run away. Inflicts nature damage to players. /i Kill groups of skeletons. Interrupt Lava Burst. Boss summons fire mobs Blazing Servitors. Avoid fire balls falling around them. They create lines of fire between themselves, avoid these. /i Smack Down hits current target dealing physical damage. Avoid frontal cone Tummy Ache, vomiting a line of green. Vomits a cloud of disease on floor, move away. /i Move out of frontal cone Shock Wave. 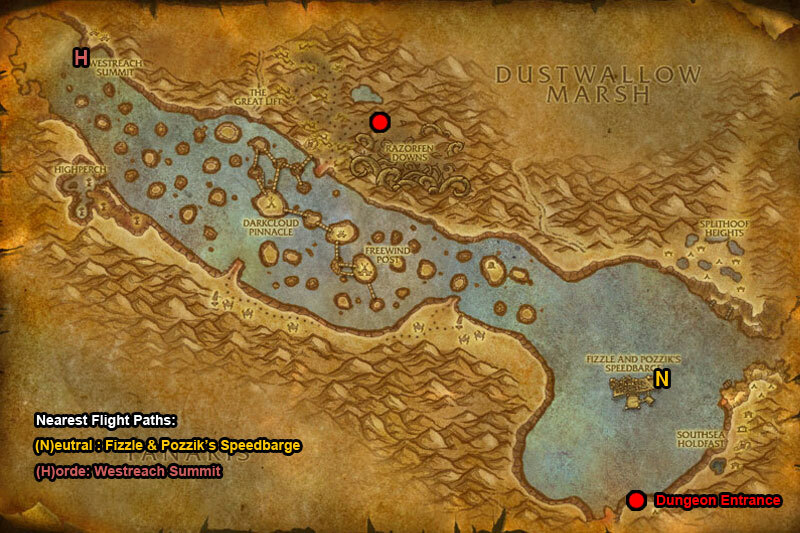 Summons mobs Splinterbone Warriors. They interrupt spell casting & use knock backs. Interrupt Searing Shadows & Shadowmend. /i Stand in the Redeemed Soil (green circles) on floor to remove Soul Leech. These circles also heal you. Move away from frost balls Frozen Bomb.